The Counselor wears Cutler and Gross 1057 sunglasses. “The Counselor”, from acclaimed director Ridley Scott, hit theaters this past Friday with an extensive all-star cast, including: Michael Fassbender, Brad Pitt, Javier Bardem, Cameron Diaz, and Penélope Cruz. 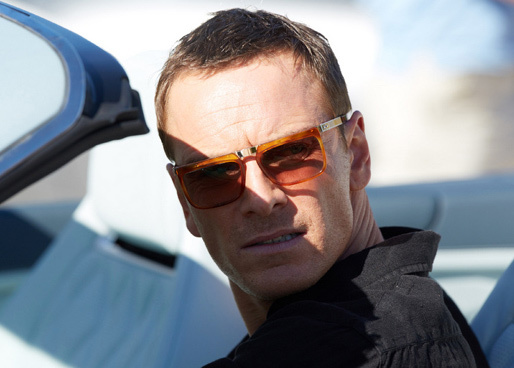 We couldn’t help but take notice of the shades worn by Fassbender (counselor), who wears the distinctive Cutler and Gross 1057 sunglasses in the ‘Honey Tortoise’ color. The 1057 model is part of Cutler and Gross‘ “Hong Kong Motorcycle Club”, a premium and exclusive men’s collection. Inspired by 1960’s French policemen, the sunglasses feature straight temples designed to comfortably contour the wearer’s head and also fit neatly while wearing a motorcycle helmet. The 1057 radiate power, style and unquestionable quality. 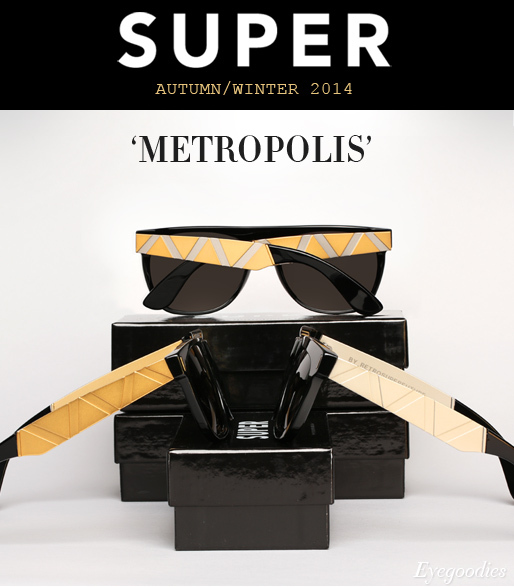 The new Super sunglasses Autumn/Winter 2013/2014 ‘Metropolis’ Collection is now available. 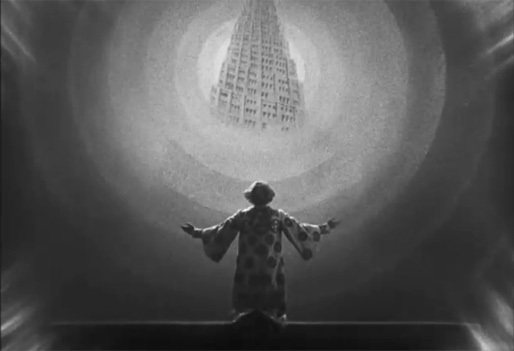 For this cold winter season Super delves into the depths of Fritz Lang’s 1927 iconic sci-fi film ‘Metropolis’ — emerging with new retro super futuristic visions for its lineup. Dynamic, mechanical, and undoubtedly fresh, the range features a host of raw metallic materials, textures, and rich natural colors. Super digs into the blacksmiths workshop carving out one of a kind creations using pure steel: shiny, matte and antiqued gold metal and silver galvanic. Other notable highlights include: distressed leather combined with brushed gold, ‘marbled’ acetates, art deco / geometric touches, and one of our favorites the unassuming stealth of the “Matte Black” series featuring their core shapes done in all matte black paired with dark black lenses. 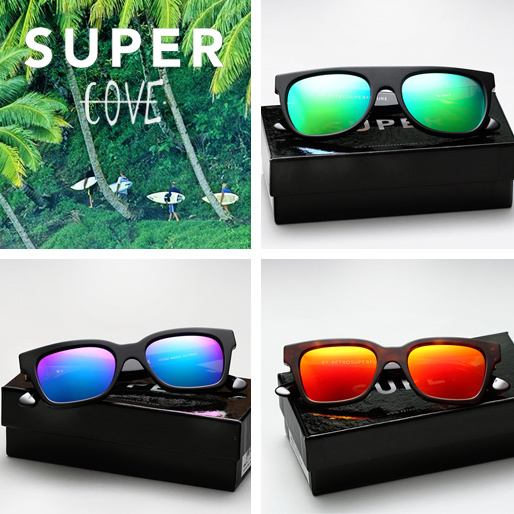 Super gives us a splash of color with its new limited edition capsule collection, entitled “The Cove”. Inspired by the “dreamy colors of California”, the capsule is a tribute to the free-spirited lifestyles of its surfers, sport enthusiasts, and seafarers. Super worked with sports professionals such as: Ryan Lovelace, Brandon DiPierri, Simon Murdoch or Oliver Parker, and was particularly captivated by their favorite surfing spot, simply known as the cove. The range is characterized by Zeiss full-on colored mirrored lenses, set in their signature core shapes: Flat Top, America, Jaguar, and Lucia. Also worth noting, the frames feature “COVE” discreetly inscribed on one of the temple tips to distinguish the special edition. Only given to a chosen few US retailers, Eyegoodies is proud to be amongst — but be warned supply is very limited .